After three glorious weeks in the Cambodian sun, I had to pack up my suitcase and prepare for a completely different climate all together. I wasn’t really that prepared, to be honest. After a few weeks of the heat I’d completely forgotten that, you know, I’d probably need my coat, prompting a mad dash back to Phnom Penh half a day earlier than I was supposed to from Kep. Oops. I also would not recommend flying with Vietnam Airlines – almost every single flight I took with them was delayed (by five hours), and the service was not great. I did get a few rather hilarious stories out of the experience, though, so if you’re at all interested I’ll add that to the end of the post!*. I finally arrived in Haneda Airport in just about one piece about 30 hours after I had left Phnom Penh. My family in Tokyo live in Shinagawa, which is really convenient to get to from Haneda – only half an hour away by train. The first thing I’d do before coming to Japan is getting the JR Pass – it’s a little pricey, but such good value, and you will save so much money once you are there by getting one. You can only get one outside of Japan, so it’s worth doing before you go. A 7-day pass set me back £154, and it was well worth every penny – I got mine here. 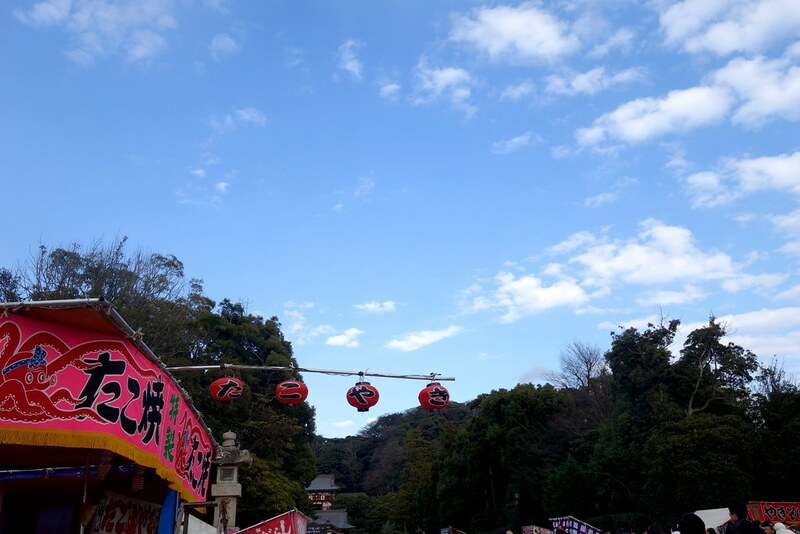 I arrived on the 31st of December, and spent about half an hour in Tokyo picking up my boyfriend (who had landed that morning) before I was on another train – this time, to Kamakura. 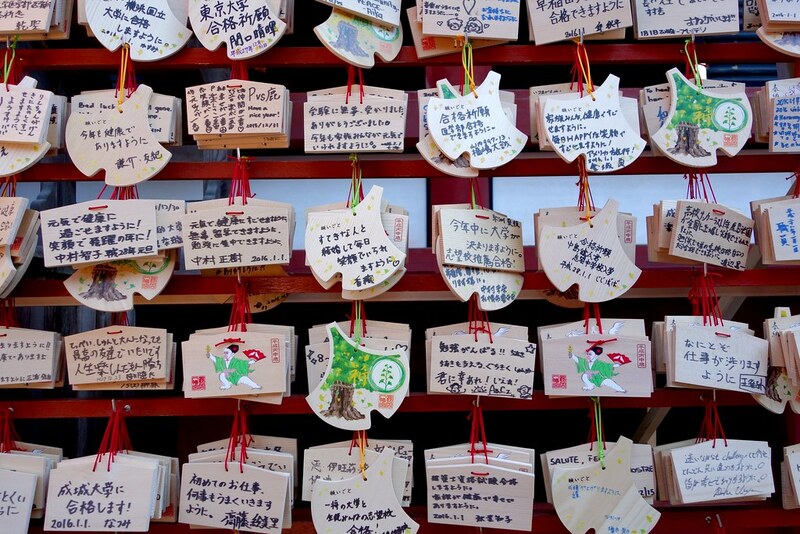 Kamakura is one of my favourite places in the entire world. 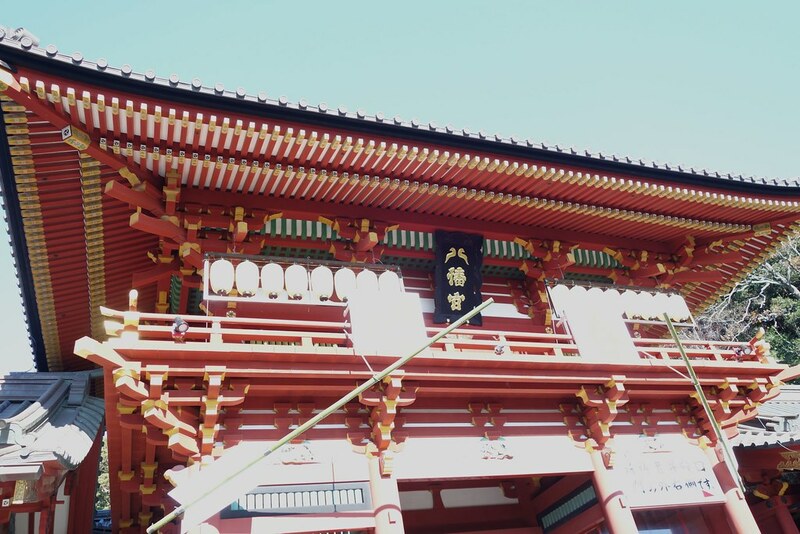 It was the de-facto capital of Japan, years and years ago, and is absolutely beautiful. My grandparents would spend their weeks in Tokyo, where my grandfather would work, and almost every weekend they’d come back to Kamakura, which is around an hour away from Tokyo by train. As far as cities go, it’s a pretty small one, but is full of some of the most amazing architecture in Japan, in my opinion, as well as being surrounded by natural beauty. 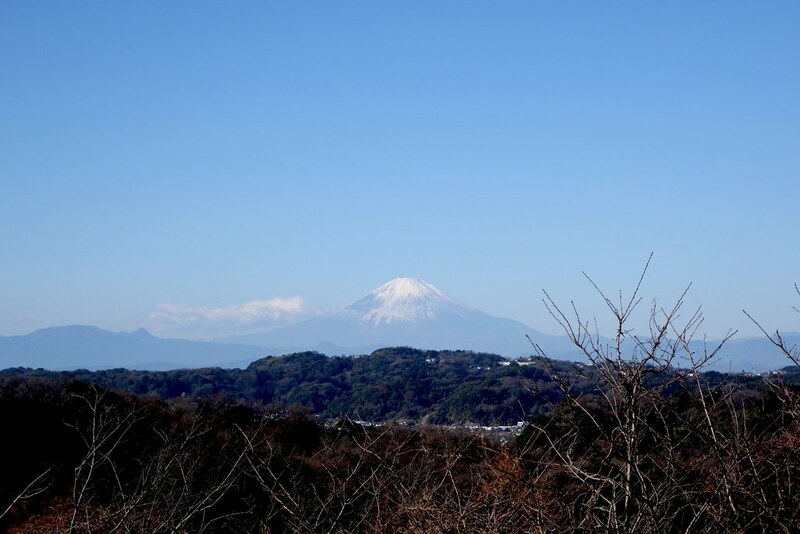 It’s close to the sea, but there are several forests – and I can even get a great view of Mt. Fuji from my grandparent’s house in the Highlands. New Year’s is a massive deal in Japan – it’s kind of like how Christmas is in the UK – very family-orientated, and everything is shut. I was only in Kamakura for three days this trip, unfortunately, and spent it less on getting out there to look for things to blog, but more on spending time with family (sorry). I do think it’s a stunning place to visit, though, and I know it really well, so I just thought I would share some of my favourite places to go, see, and eat! 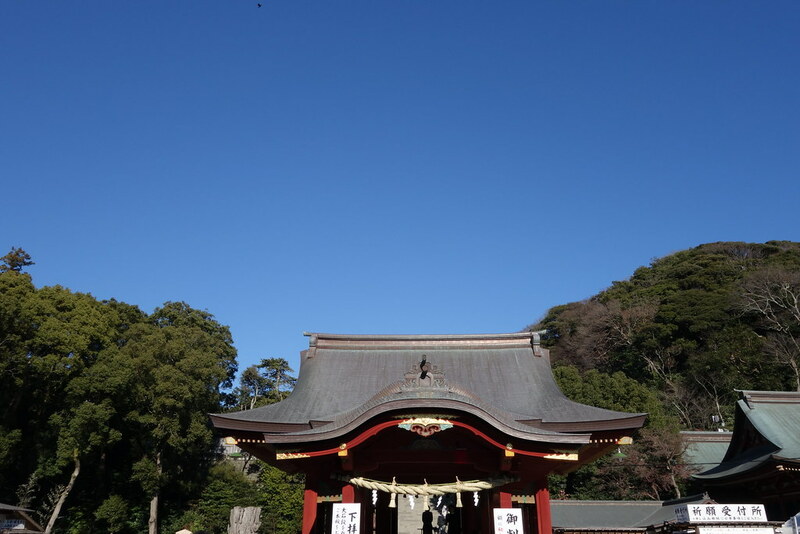 Kamakura is filled with stunning temples – the biggest and most famous being Tsurugaoka Hachimangu, which is a five minute walk from Kamakura Station. I’m slightly biased towards this temple, as this is the one I always go to to get my blessings (and my grandfather was a temple elder there when he was alive). Built in 1063, it is absolutely breathtaking. 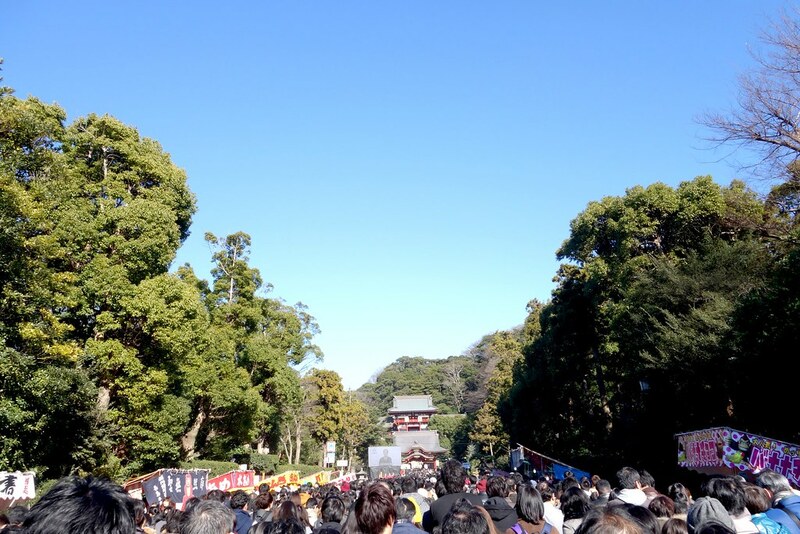 At New Year, around 30,000 people will gather to pay their respects, and it was absolutely rammed when I went. Being Japan, of course, it was the most civilised crowd ever, but if you are claustrophobic I strongly suggest not going there on January 1st! 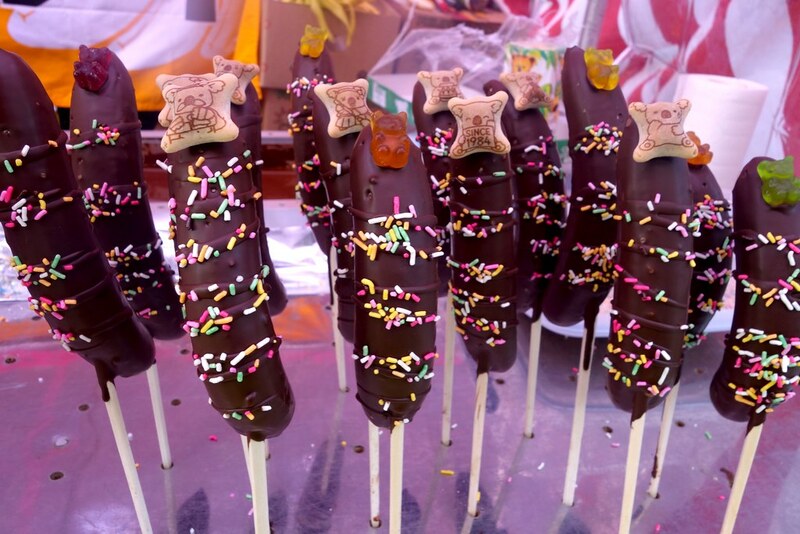 Hachimangu is filled with interesting street food vendors, too – so it’s worth checking them out if you’re a fan of street food – Japanese street food is awesome. 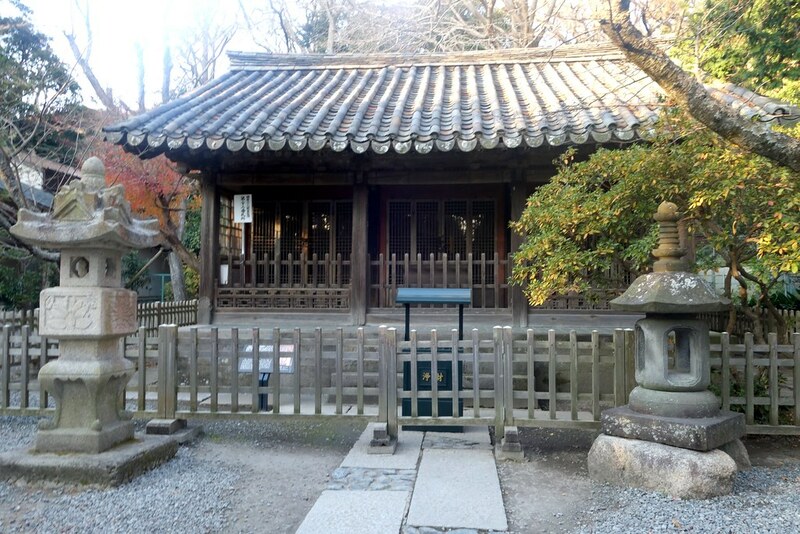 Another place I’d strongly recommend is Hokokuji, a beautiful old temple surrounded by a bamboo forest. It was unfortunately closed at new year, so I didn’t make it this time round, but it is one of the most serene places I’ve ever been. 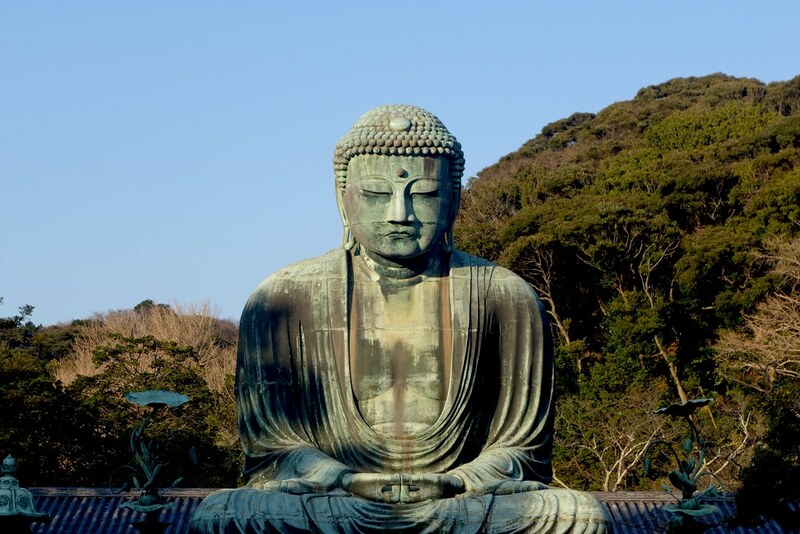 Going to Kotoku-in to see the Daibutsu (giant Buddha) is definitely one to tick off of your bucket list – there are regular buses going straight there from Kamakura station, and is really worth seeing. It’s hard to believe that the buddha was built in 1252 (and you can go inside it, too). A few honorable mentions, that I didn’t have time for this trip: The beach (in the summer months, of course); Zenarai Benzaiten shrine, where you go to wash your money so you can get rich; taking the Enoden electric railway along the coast for a great view of the sea; the Shakado pass; and the yagura tombs. 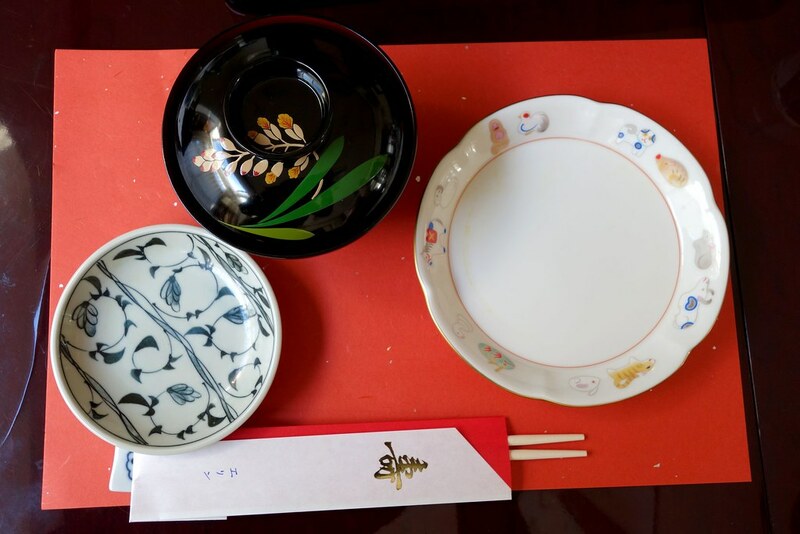 I didn’t go to too many restaurants this time, as I was busy getting osechi ryori (traditional Japanese new year fare) at home. 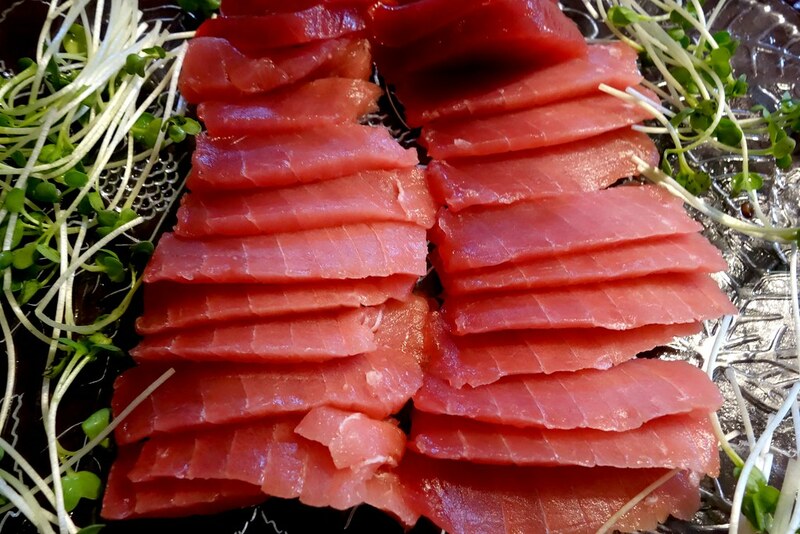 A lot of places were also closed around New Year, so we had to make do with stockpiling amazing fatty tuna sashimi, and doing a lot of cooking for ourselves, too! 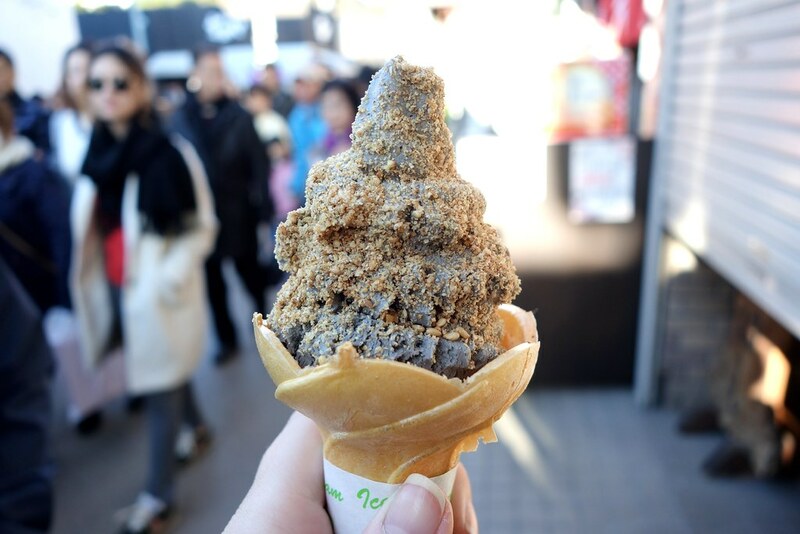 Kamakura does have some amazing places – and things – to eat. 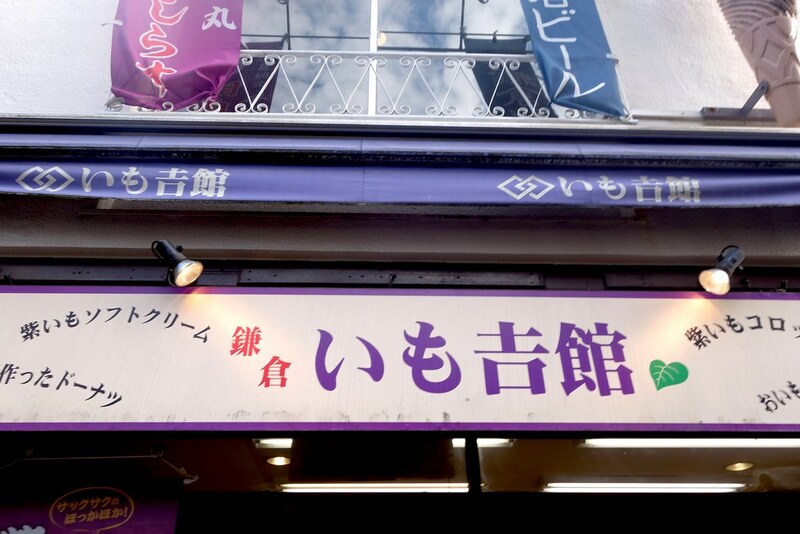 I highly recommend the shops and little izakayas (Japanese pubs) down Komachi-dori, which is just off of your left as you leave Kamakura Station. 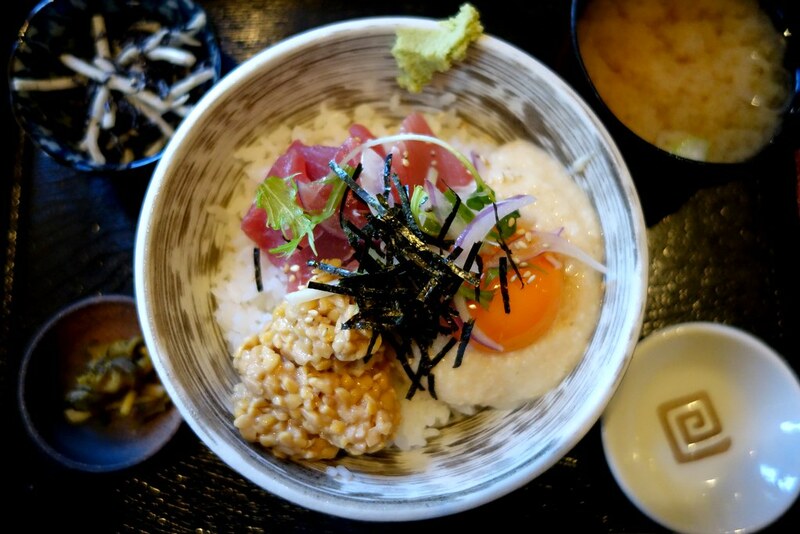 They are all pretty great, but that’s where I got this donburi bowl of maguro tuna, natto (fermented soybeans) and raw egg. The way eggs and chickens are reared in Japan is of such a high standard that you can safely eat eggs and chickens raw, unlike the UK. Raw eggs in particular are a big part of Japanese cuisine, and something I miss the most when I’m back in the UK. Natto is an acquired taste. 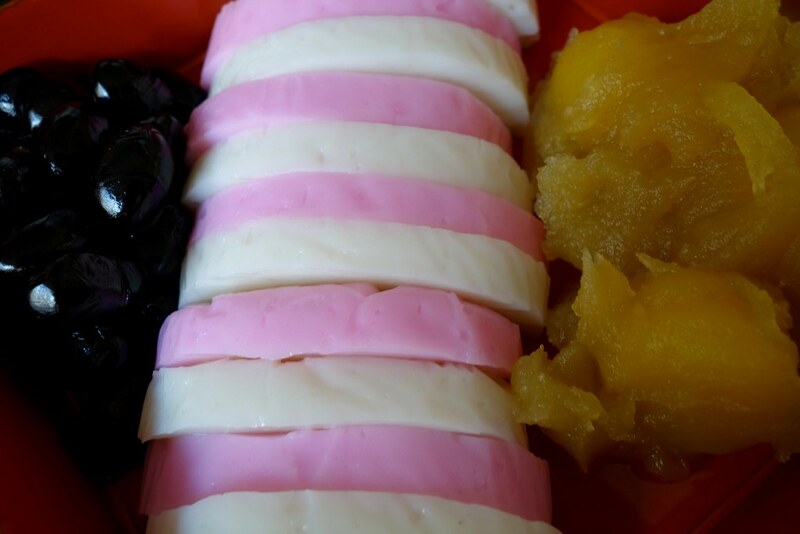 I absolutely love the stuff, and have loads in my freezer, but I’ve yet to meet a non-Japanese person who likes it. If you do, let me know! The absolute best omelette rice IN THE ENTIRE WORLD can be found at Cafe Vivement Dimanche – it’s a must. 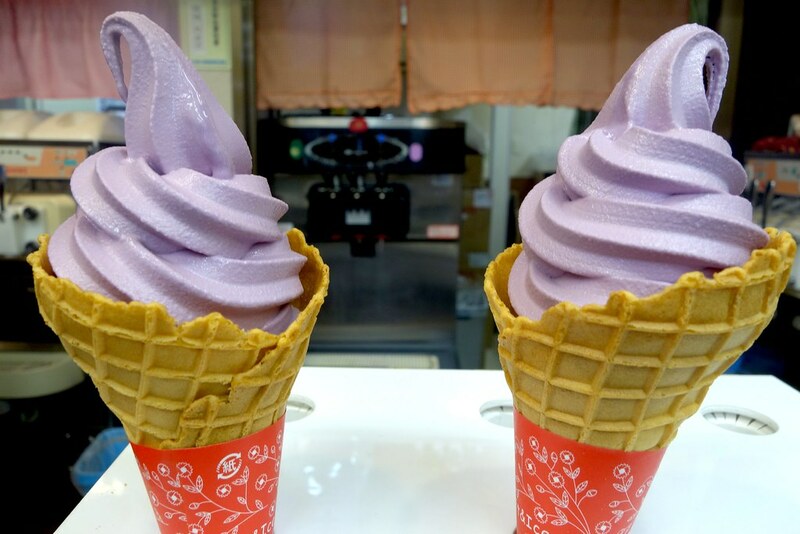 If you’re walking along Komachi-dori, it is absolutely imperative that you get ice cream, because I’m under the impression that you can’t get better ice cream anywhere else. Sweet potato ice cream might sound totally crazy, but it is my absolute favourite, and I’ve never seen it anywhere else. 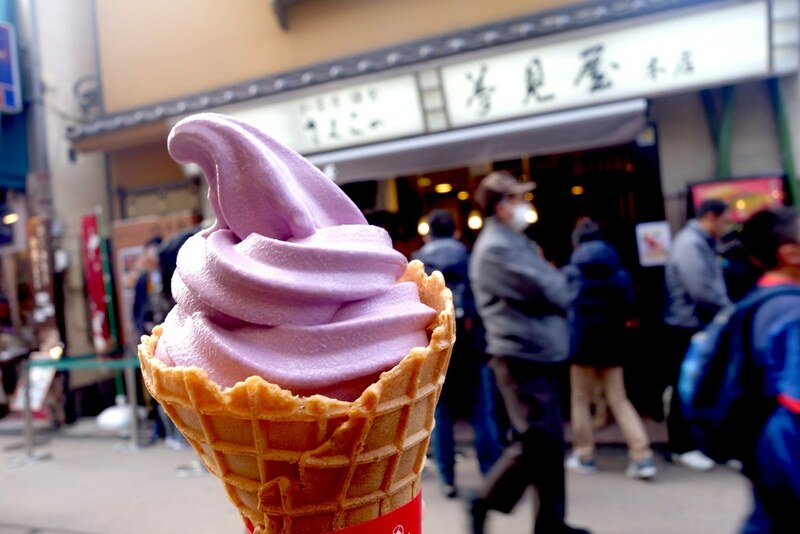 You can’t miss it – it’s purple, like sweet potatoes are in Japan – and has the most beautiful, subtle flavour. 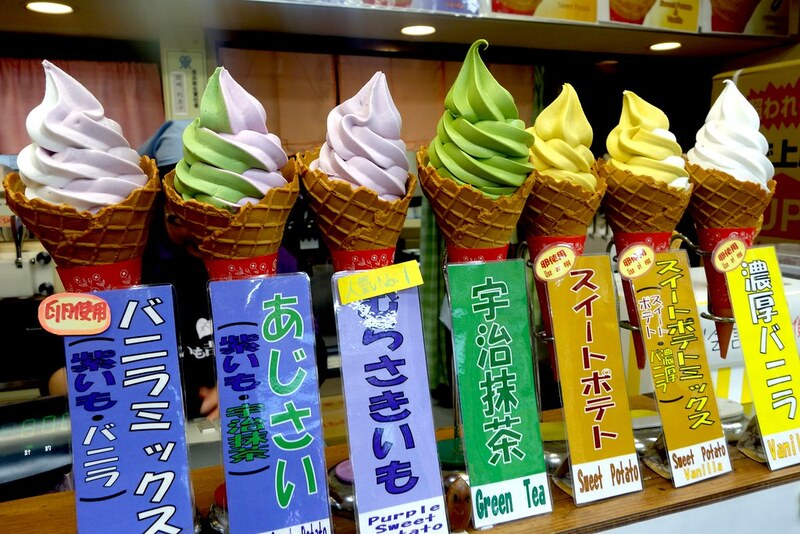 If the thought of it freaks you out too much, you can always get matcha ice cream from the same place, or go a few doors down and try a black sesame one, too. It’s pretty great. 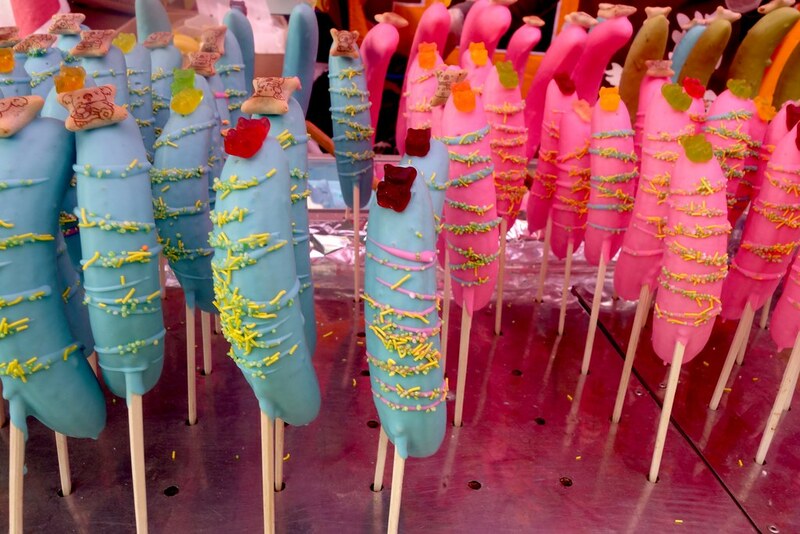 Basically, Komachi-dori is where it’s at in terms of shopping – the Ghibli store is a must (one of the first on your right), and the whole street is full of places selling traditional souvenirs. 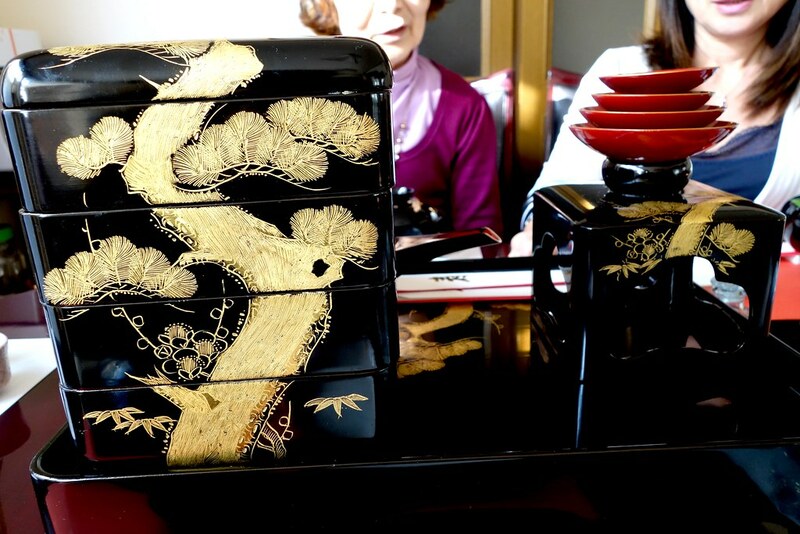 If you’re looking to take back confectionery, the Hatosabure Kamakura Dove Cookies are really iconic, and worth taking back. 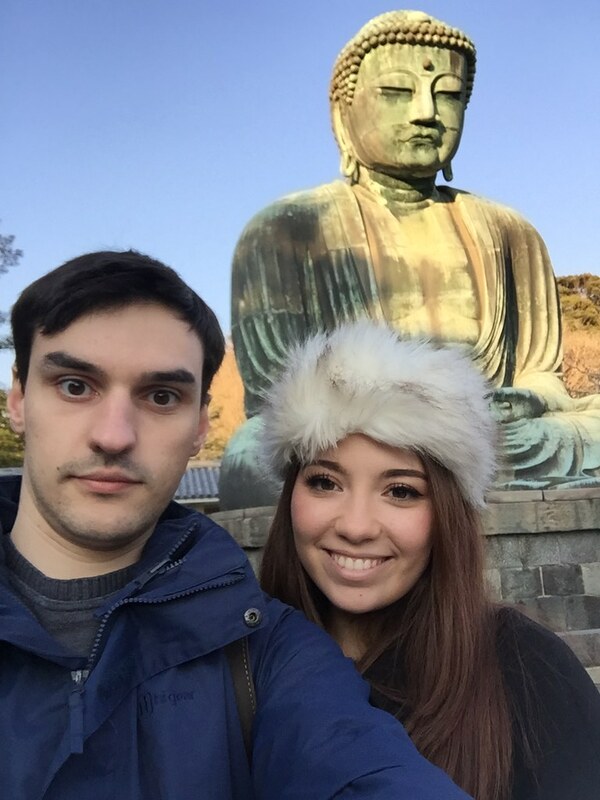 It was so wonderful to go for a visit, and I’d totally recommend Kamakura as a place to check out when you’re in Japan. It’s authentic, without being spoiled by tourism – a stunning place that everyone should go to at least once! Have you ever been to Japan? What were some of your favourite places? Be sure to comment below, or let me know on Twitter, Facebook or Instagram! *The first story was the rather hilarious, but perhaps only to me. On our first 5 hour delayed flight, I asked the much older gentleman who was also delayed coming in to Phnom Penh whether he wanted to email his son, who was meant to be picking him up from the airport. He didn’t have an email address, so I offered to send his son an email from my own address. I had to take a picture of the old man and attach it to the email, to prove I wasn’t an extremely unimaginative prankster, and I felt like someone that has kidnapped someone for ransom. This same old man, by the way, managed to sneak a ONE LITER BOTTLE of shower gel – not only through HEATHROW SECURITY, but also through Hanoi airport, too. It was only when we were going through security in Ho Chi Minh that anyone called him out on the “no liquids over 100mls” thing. Doesn’t fill me with confidence, really. The second story was just so bizarre I felt as though I was hallucinating throughout. I was upgraded to premium economy on my flight from Hanoi to Tokyo, and was sat next to an old Vietnamese man. I had been reading a book on my iPad, watching movies with my Bose headphones, and using my own neck pillow. Every time I would get up to use the loo (it was a long flight, so this happened quite a few times) the old man would have taken one of the three from my seat, and would be using it. I guess he thought they came with the plane and I was just hogging it all, but it was so funny and really awkward having to get all my belongings back from him every time! A really useful guide if I find myself heading over to Japan. It’s a country I have never been, despite having previously been a travel journalist. Very unsure about the raw egg thing ‘though! Had a bad experience as a kid and to this day I can’t go near raw eggs.